Medical translation requires precision and up-to-date technical knowledge by every member of your translation team. It also requires multiple levels of quality control and a full understanding of stringent regulatory laws, especially for the US, the European Union and Japan. Language Scientific meets the highest level of quality in providing Medical Translation Services. Whether translating patient case report forms for FDA submission or packaging for in-vitro devices to comply with the EU’s IVDD directive, there can be no compromise where the spheres of language and healthcare regulation converge. That is why our translations are translated and Certified for Translation Accuracy by Medical Professionals. Language Scientific’s Quality Management systems are ISO 9001:2015 and ISO 17100:2015 certified. What Makes Translating a Medical Document More Difficult Than Translating Any Other Document? Can you paraphrase the following sentence? If resistance is felt during mechanical distraction, the interlaminar bony bridges must be resected to avoid fracture of the base of the spinous processes. In cases of overlapping and hypertrophic laminae (kissing laminae), preliminary resection is recommended. Similarly, in cases of a kissing spine involving the spinous processes, resection of the lateral hypertrophic aspects of the spinous processes is necessary. At this stage, the interlaminar distractor can be inserted as far anteriorly as possible at the junction between the base of the spinous process and the laminae. If you didn’t have a background in medicine, you probably couldn’t. Well, medical translation is, fundamentally, paraphrasing. In this example the instructions are for a surgeon, the language specialist must understand medical terminology to communicate at a professional level of understanding. It is our precise matching of subject matter with target matching that makes us unique. We match our language specialists from our ASKnetwork at the same level of expertise. Would you want your surgical instructions to be translated by a translator without an MD? If You Don’t Understand It, You Cannot Translate It! That is why Language Scientific requires that all Medical Translators and Translation Editors have relevant education, training and work experience in the areas of medicine matching the subject matter they translate. Our meticulous Quality Control system is the most thorough in the industry, with a system of checks and balances in place throughout the entire process—from the selection of project managers to the final proofreading of the translated document. Pharmaceutical companies, clinical research organizations (CROs), manufacturers of medical and surgical devices, biotech companies and healthcare managers have come to rely on Language Scientific for translation of their most sensitive documents. Our unique methodology that clients depend on delivers consistently clear, accurate translation of high-value information. Language Scientific provides medical translation services in over 215 global languages. That is often important when translating clinical trial documentation, due to increasing globalization of clinical research. 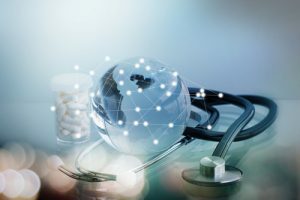 Nevertheless, most of our medical translation work involves translation between English and the major Asian, European, and Middle Eastern languages, such as Chinese, Dutch, French, German, Hebrew, Italian, Japanese, Korean, Portuguese, Russian and Spanish. Patient Reported Outcomes (PROs) questionnaires are a critical tool for gathering valuable insight into symptoms, side effects and safety of investigational drugs, and are widely used in global clinical trials, but the instruments’ validity across international sites requires not just translation and cultural adaptation, but linguistic validation and harmonization across languages and locales. Language Scientific has provided Linguistic Validation of Patient Reported Outcomes (PRO) questionnaires and other clinical instruments for over 10 years. We have experience translating questionnaires into over 60 world languages.